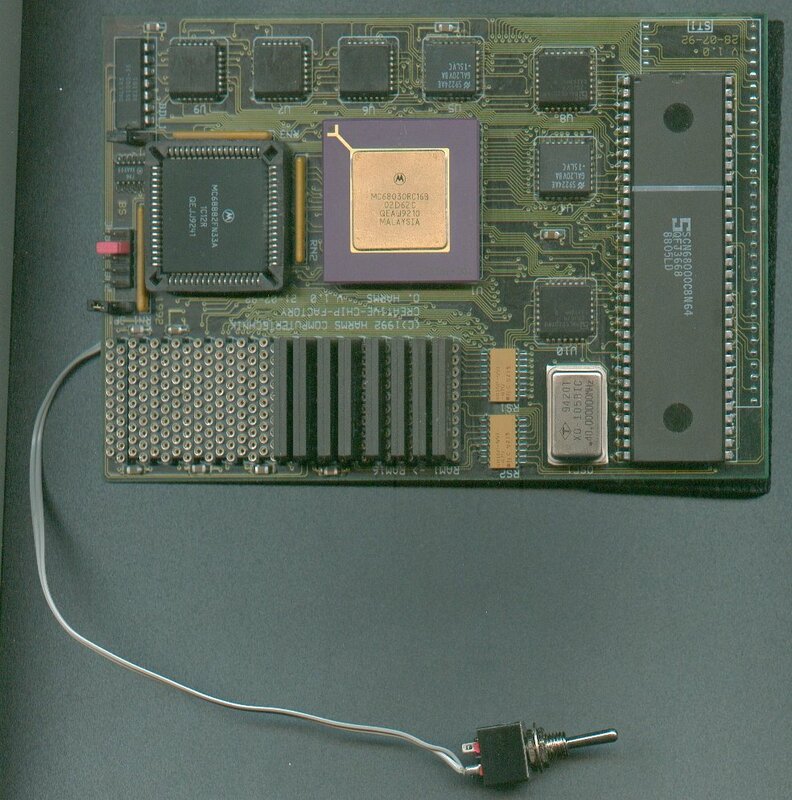 An accelerator for the A500, and probably the A2000 which plugs into the CPU socket. The 68000 is then mounted on the card for compatibility with old software. The cards supports up to 8MB of RAM but it is not autoconfigured so it must be added using the addmem utility. An on/off switch is also installed on the card.